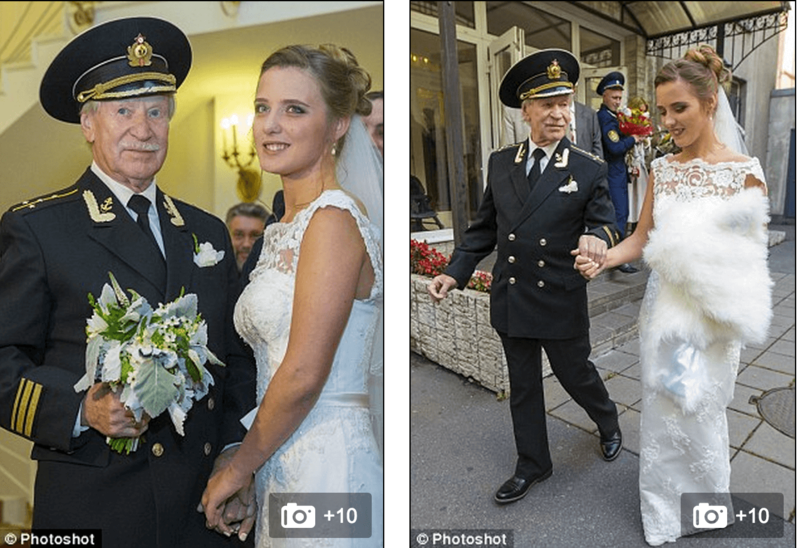 How one new couple are looking forward to starting a family …Pictured, Ivan Krasko, 84 and his new bride, Natalia Shevel, 24. 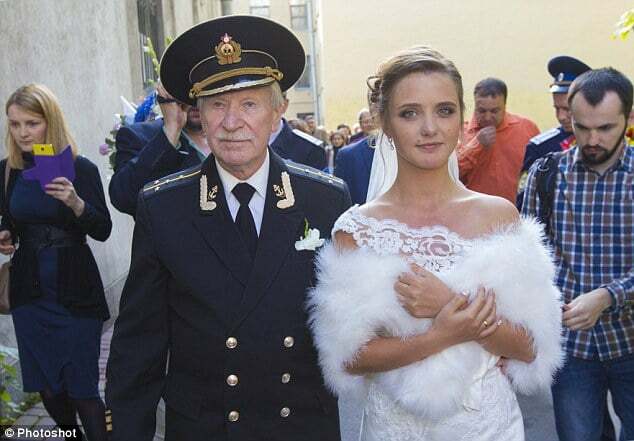 Mouths have been left wagging after 84 year old Russian actor, Ivan Krasko, who has appeared in more than 140 film roles married his fiance, a former student of his, 60 years his junior. 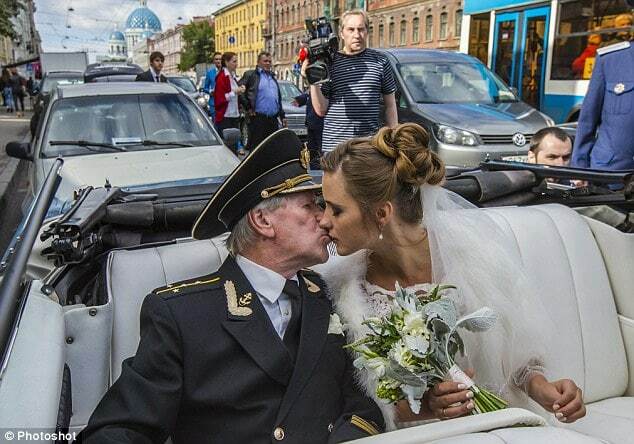 According to a report via REN TV, Krasko and his bride, Natalia Shevel married in a secret ceremony attended only by close friends and family in St Petersburg. To boot the older actor, who still manages to act told he is very much looking forward to starting a family with his former acting student. Asked how they met, the elder actor, a father of six told that he was teaching fine art at St Petersburg Institute of Liberal Education when Shevel, one of his students at the time began writing poetry to him after the actor admitted having made a ‘huge’ impression on the student. In the interview shortly before the ceremony the pair said they feel they cannot spend a single day apart and are living together in the actor’s apartment in central Moscow. The actor who will turn 85 in two weeks, added that the relationship prior to their marriage remained platonic, but he now hopes they will have a family together as they ‘both wanted children’ and that there was a mutual attraction between them both. He said he had not yet met her family, although she had been introduced to his sons. The actor proposed by getting down on one knee on the St Petersburg metro and presenting his student with a diamond ring. The very next day the couple went to register an application to become married. When a journalist implied the marriage was simply a publicity stunt by the young woman to shortcut the usual career ladder by linking herself with a famous fiance, Ivan Krasko rejected the idea. At present it is not necessarily understood where the pair plan to spend their honeymoon.